A unique partnership between the Graduate Theological Union and the University of California, Berkeley, creates unparalleled opportunities for GTU students and faculty. The cooperative relationship with this world-class university just a five-minute walk from our campus enables GTU students to cross register for courses at UC Berkeley, to access university libraries, and to enhance their studies through the incorporation of university disciplines such as anthropology, sociology, linguistics, ethnic studies, and Near Eastern studies. The collaborative relationship with the UC Berkeley has been key to the GTU’s identity from the beginning. 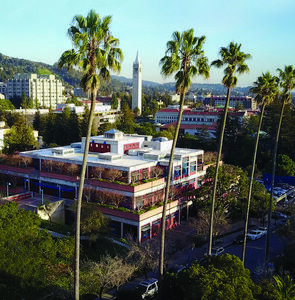 The member schools that founded the GTU in the 1960s had come to Berkeley precisely so their students and faculty could participate in the interdisciplinary community formed around one of the world’s premier public universities. It is therefore no accident that so many of the GTU’s distinctive fields of study have been those that bring theology and religious studies together with university disciplines. Nearly all GTU doctoral students and most MA students take advantage of the cross-registration agreement with UC Berkeley, which also allows students at UC Berkeley to take classes at the GTU. Many GTU doctoral students have faculty members from UC Berkeley serving on their comprehensive exam and dissertation committees. In 1999, the two schools, which have had a long-established reciprocal library borrowing arrangement, entered into a Cooperative Collection Development Agreement formalizing collection development practices that had already been followed for some time. The agreement is currently reviewed annually in a joint meeting between GTU and UC Berkeley librarians, with continuing benefit for informed selection and good fiscal management of acquisition funds. GTU faculty and students regularly collaborate with UC Berkeley colleagues in a number of university centers and programs, including the Berkeley Center for the Study of Religion, the Center for Race and Gender, the Center on Institutions and Governance, the Religion, Politics and Globalization Program, the Human Rights Center at the School of Law, the Haas Institute for a Fair and Inclusive Society, the Berkeley Center for Jewish Studies, and the Magnes Collection of Jewish Art and Life. Several GTU faculty members have affiliate faculty status in one or more university departments or interdisciplinary programs.